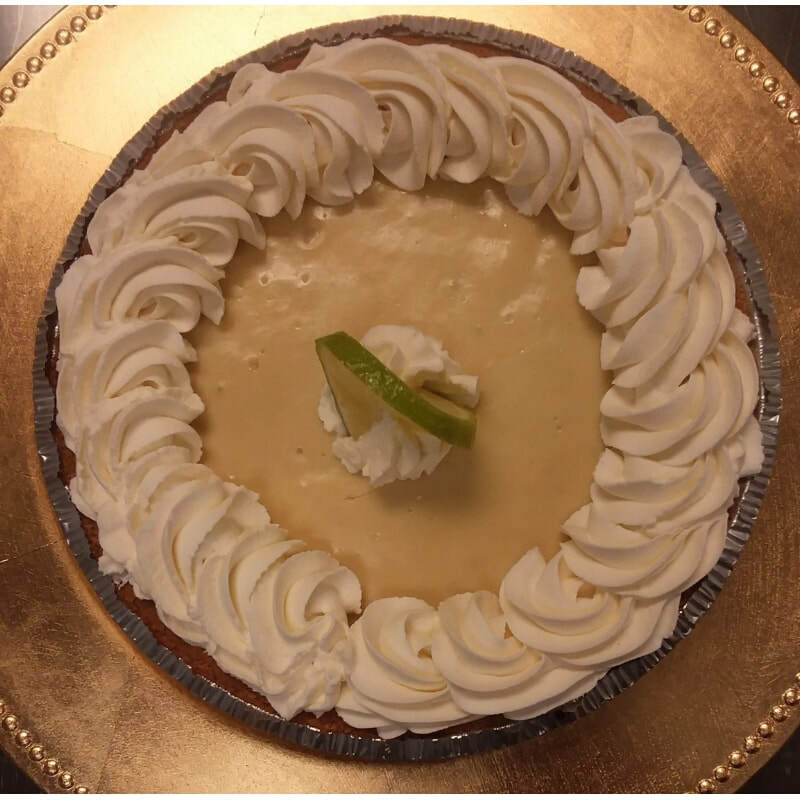 Cakes/Pies - The Dessert Fork, L.L.C. Effective March 1, 2019 a few items will increase in price. 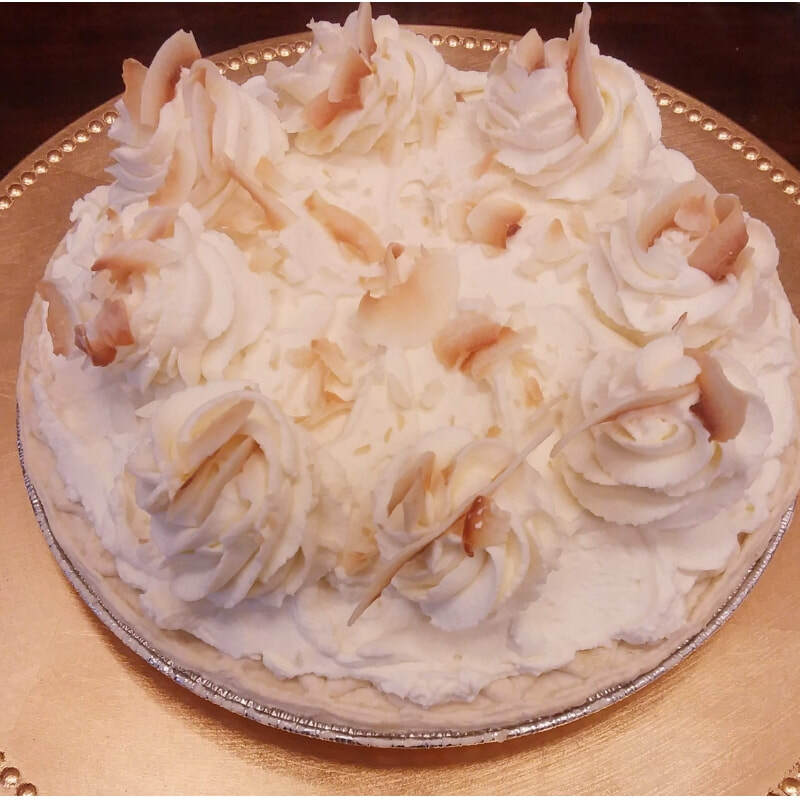 The items are as follows: Carrot and German Chocolate 6 inch cake and slices, and Whole Coconut and Chocolate Cream Pies. ​You don't need a special occasion to have a Dessert Fork cake. 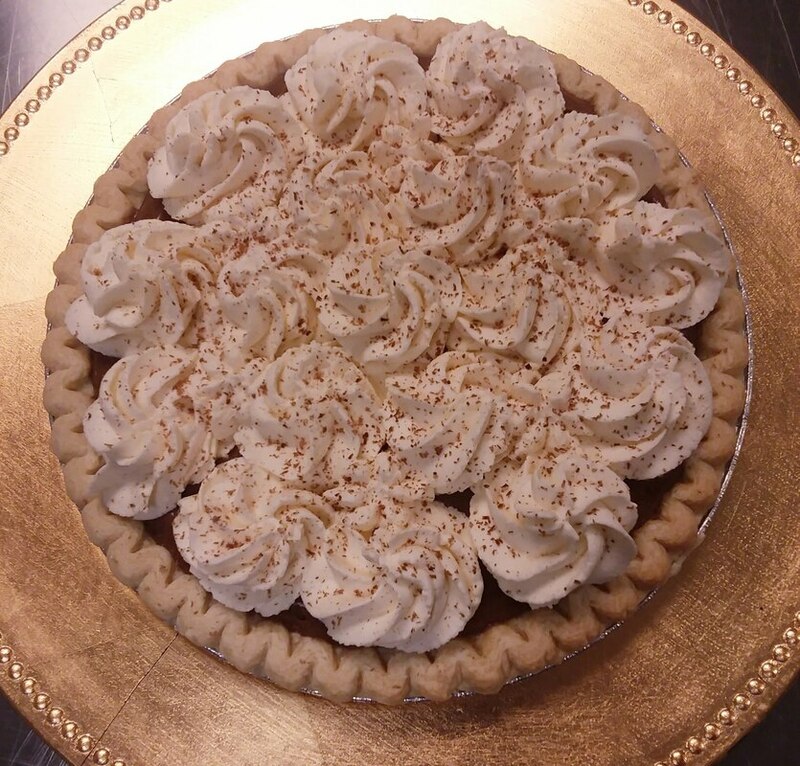 Invite one of our 7 Artisan Cake flavors into your home and take your day from ordinary to extraordinary. ​Daily quantities are limited. 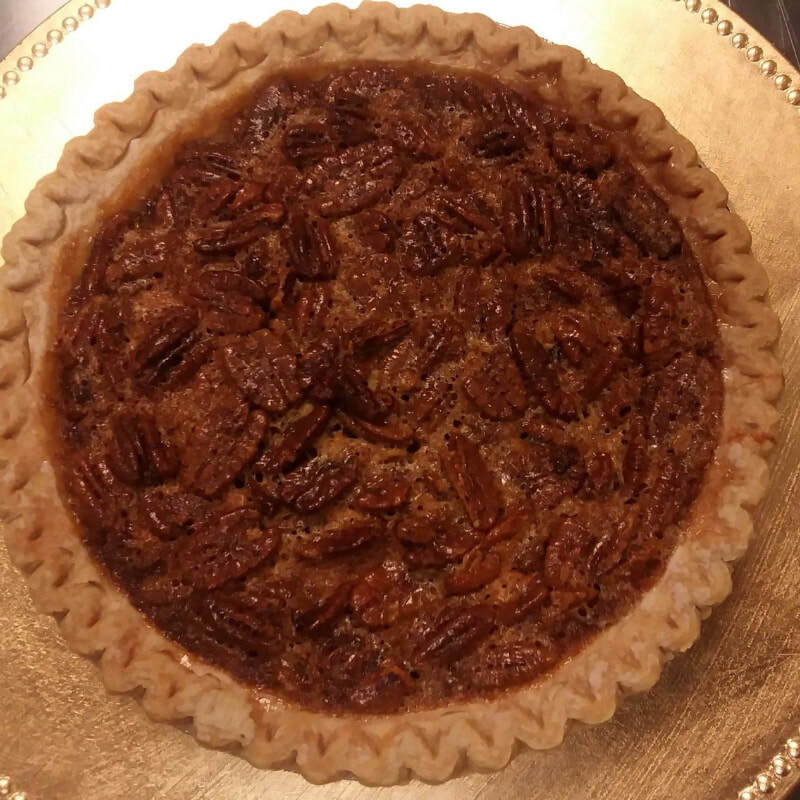 All cake flavors are available for pre-order with 48 hours notice. 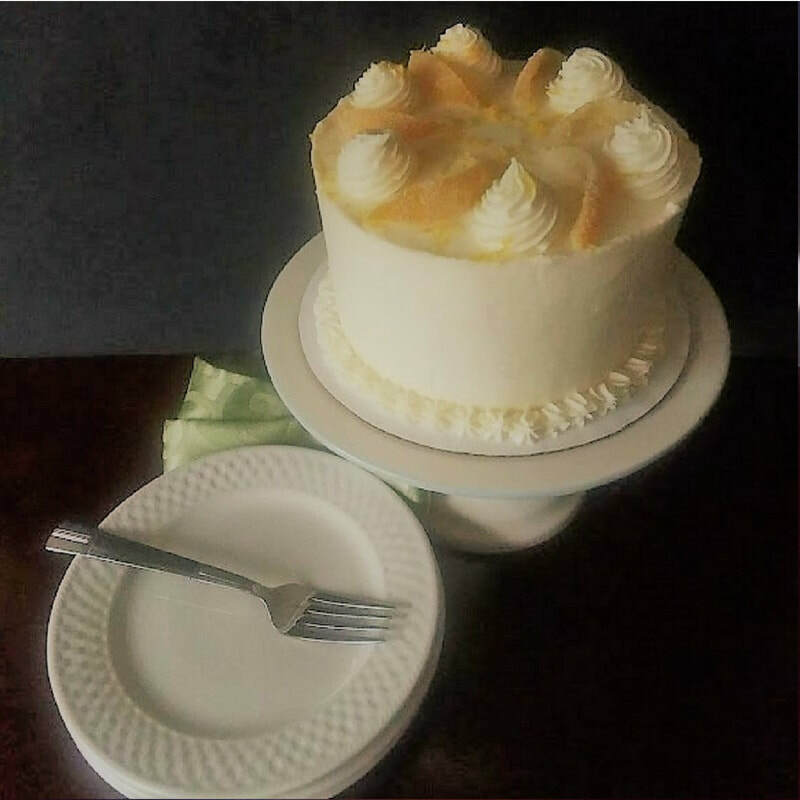 ​A perfectly balanced sweet and tart lemon cake made with real lemons topped with lemon cream cheese frosting and candied lemon peels. 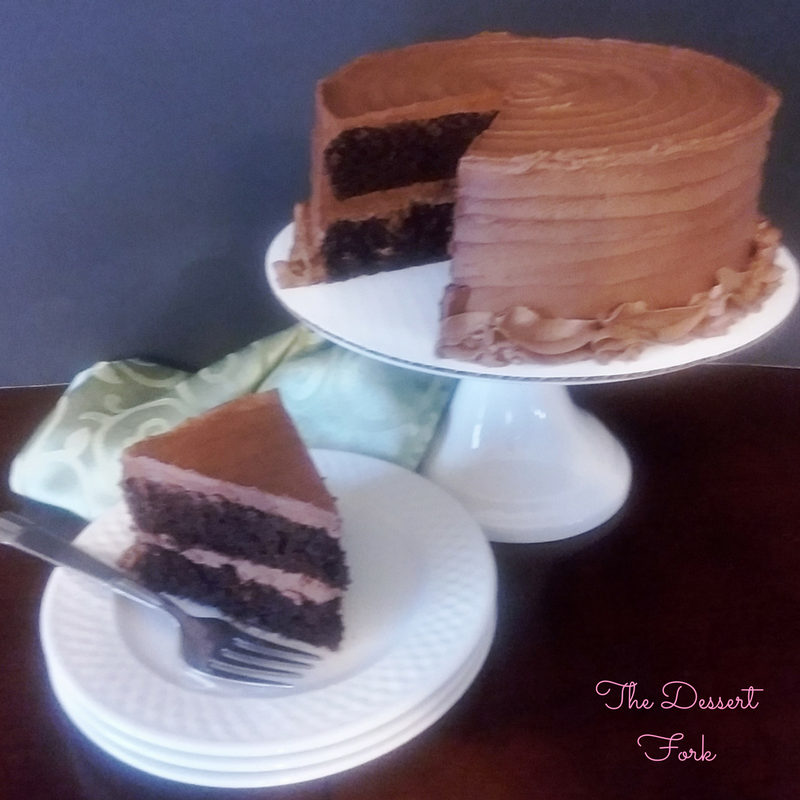 A rich chocolate cake made with ﻿﻿﻿real cocoa topped with a silky chocolate buttercream. 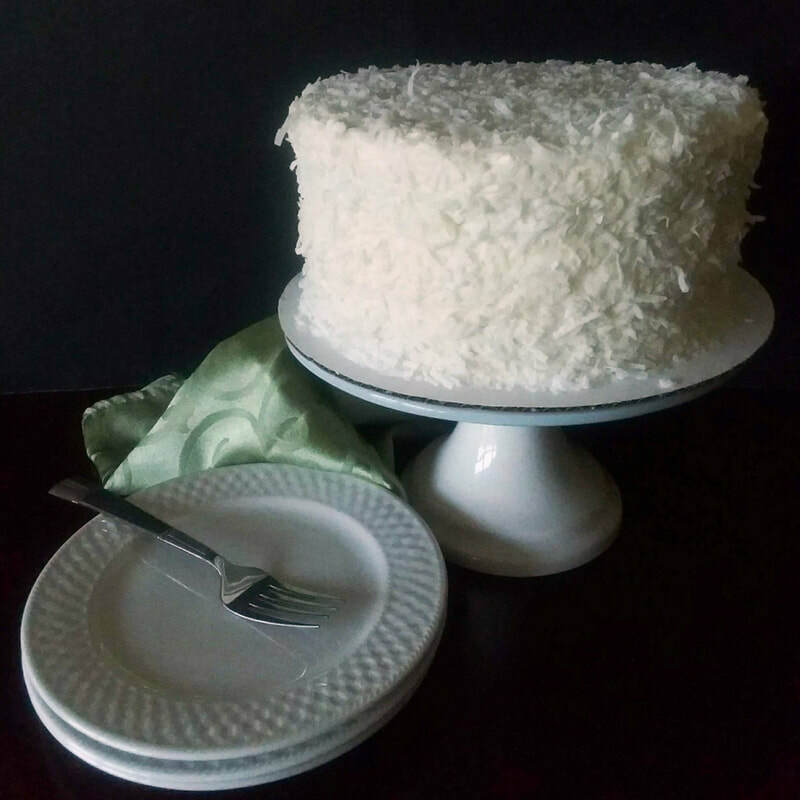 Our classic vanilla cake infused with our in-house coconut extract topped with cream cheese buttercream and shredded coconut. 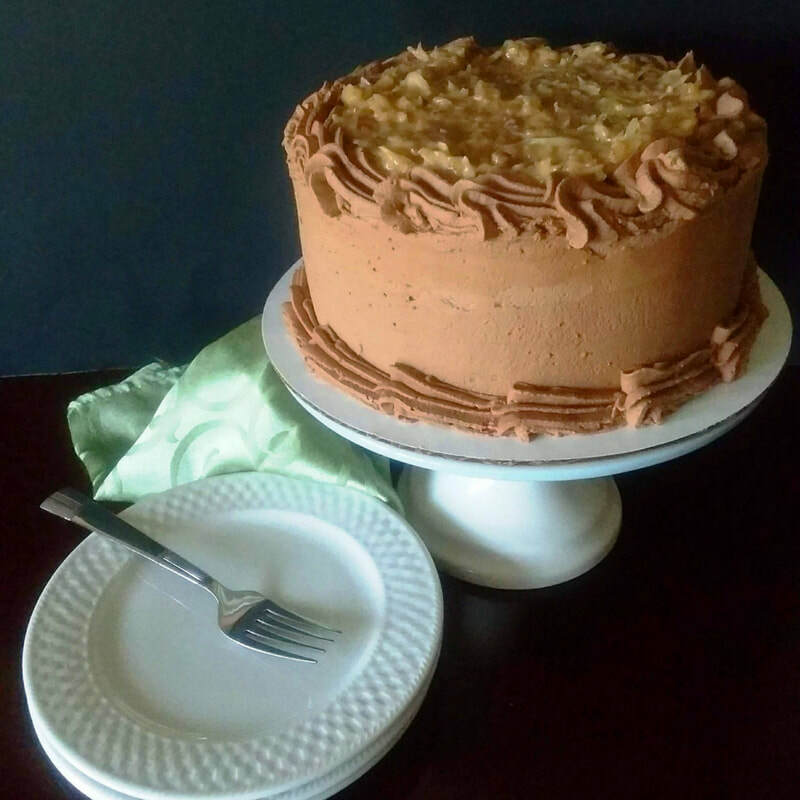 A classic sweet chocolate cake with a coconut-pecan filling and chocolate buttercream. 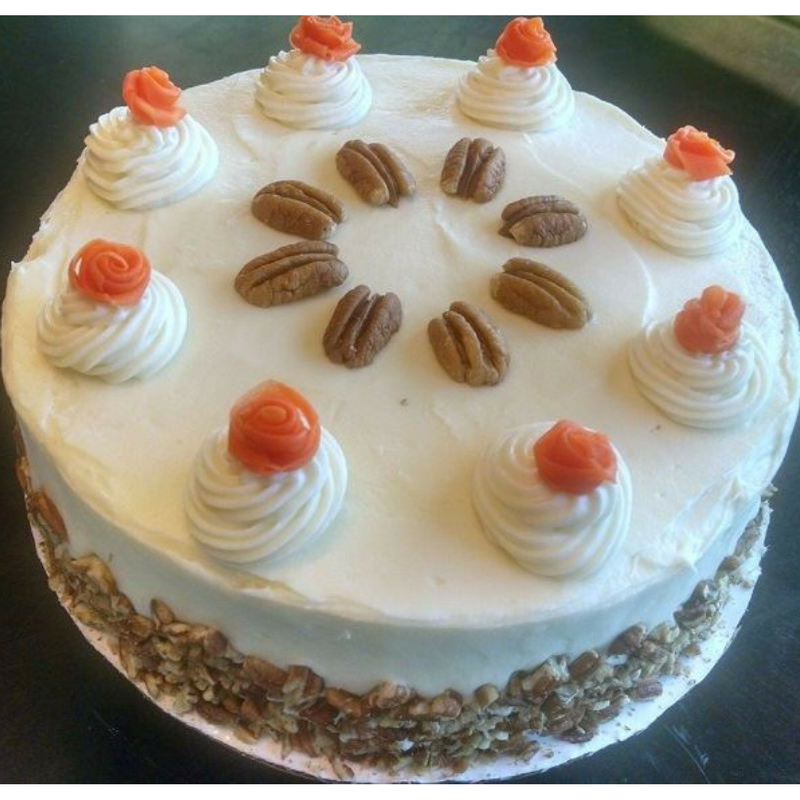 An indulgent cake with carrots, pecans, and raisins topped with a cream cheese buttercream. 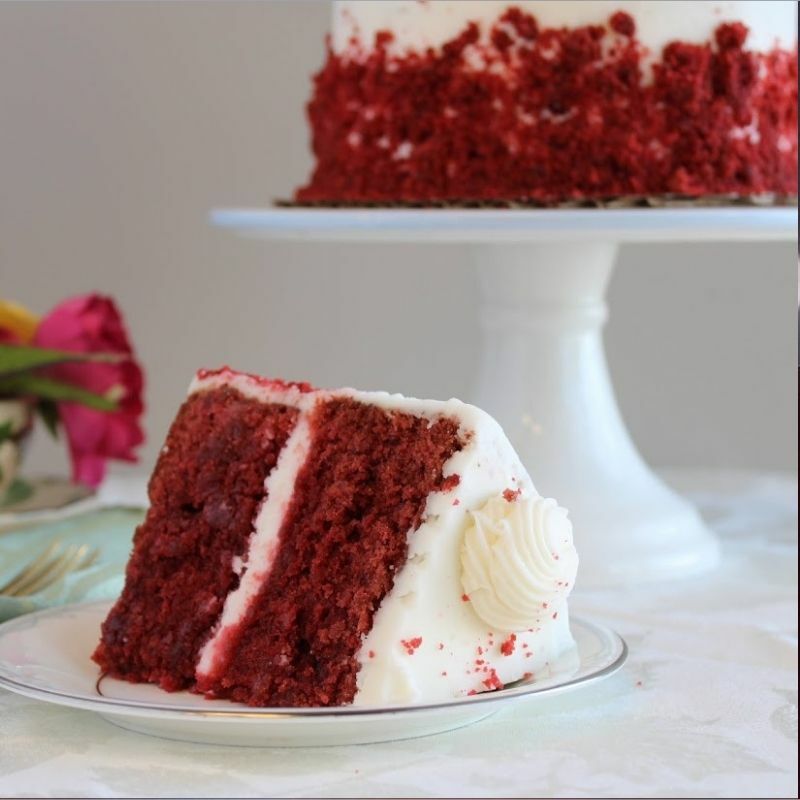 A velvety red cake with a hint of cocoa topped with a cream cheese buttercream. 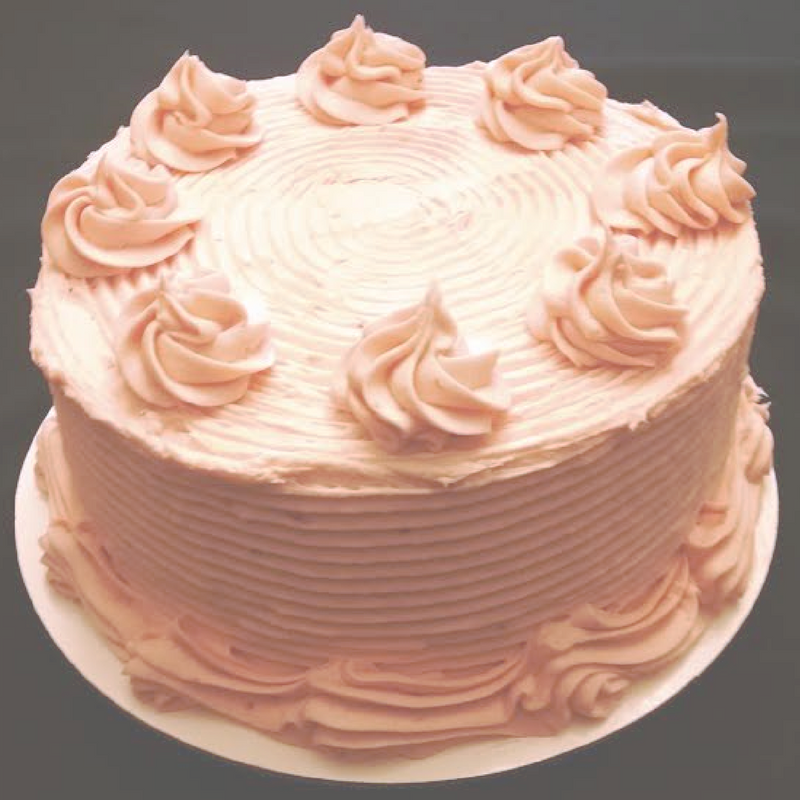 A delightful cake made with real strawberries in every batch topped with a strawberry cream cheese buttercream. ​Daily quantities are limited. 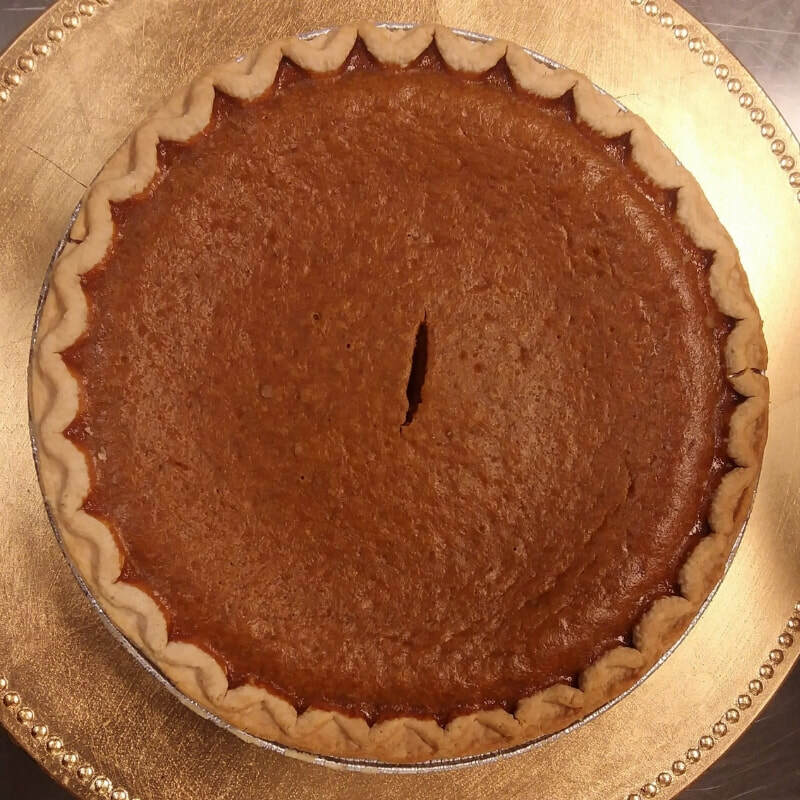 All pie flavors are available for pre-order with 48 hours notice.